Since I went to college 10 years ago I have hated buying laundry detergent. The good stuff costs too much, the cheap stuff leaves you feeling like you're covered in ants all day. I bought middle of the line for a long, long time. It was just a total pain to spend 10-20 bucks on detergent every other month, and more often than that once Jeremy and I were married. Once we moved so that Jeremy could start graduate school I knew I had to make cuts somewhere, the last thing I wanted was for cleaning products to take up a chunk of our budget. I'd much rather spend money on food than bleach any day of the week. I had to find something that would last a year, work well, and be cost effective. After searching detergent recipes, and attempting to sway Jeremy towards my side on this idea, I finally found one I liked. I started off intrigued by the Duggar's recipe, but the time that goes into making a liquid detergent is just too much for me. As you could probably guess the most labor intensive I was willing to go was grating some Fles-napa in my food processor. And grating in a food processor I did, what I landed on costs $20 total and just involved a bit of grating and some stirring. The best part, it made 288 loads. 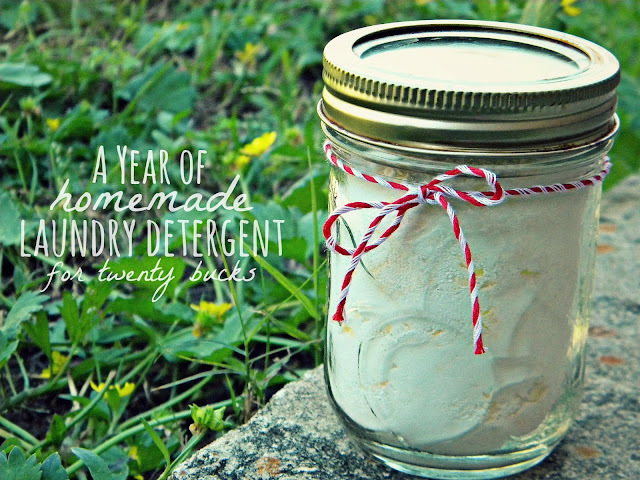 We are officially a month past the day when I made this detergent last year. It works amazing, and for $20 total that has cost us roughly .35 cents per week to wash 2-3 loads, and sometimes more, of laundry. We usually do two loads of clothes a week, a load of towels, and every other week or so toss in another load of dog stuff and 2 loads of bedding. While this is a great basic detergent recipe, it doesn't smell. Jeremy love a good laundry scent, so we have opted to use Purex crystals in our bedding and Jeremy's laundry loads. 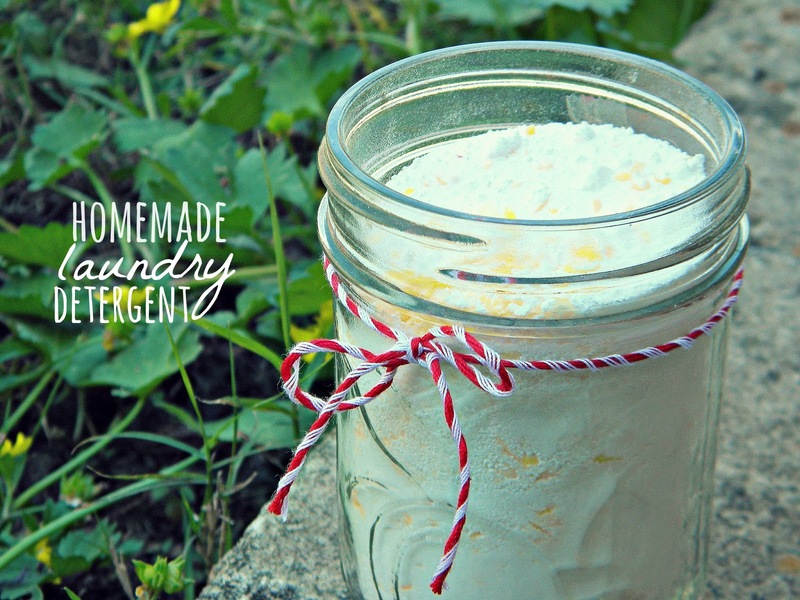 I rarely use anything scents just because of my allergies, but with a scent free detergent you have the ability to tailor it to your family's needs. Grate Fels-Naptha by hand, or in a food processor with the grater attachment. Combine with all other ingredients and store in a air tight container. 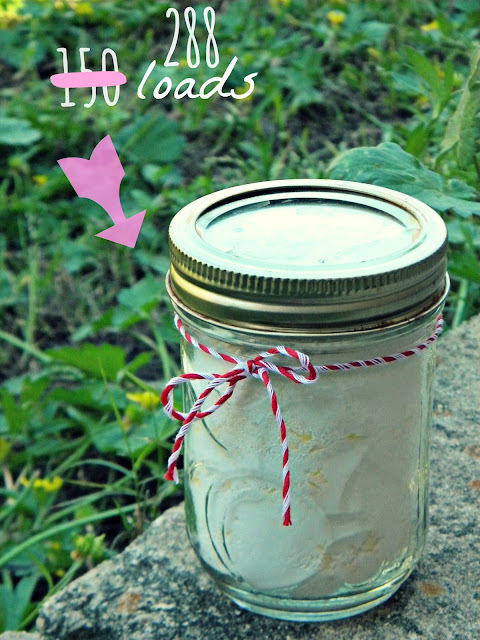 Have you ever made your own cleaning products? What was your favorite?